Top Flight will be closed April 19 - 21. Happy Easter!!! We exist to a make a positive difference in lives of our students. Our goal is to develop happy, healthy, and confident children. We believe that gymnastics training is one of the best ways to achieve the physical and emotional well being of children. Voted Best of the Best Gymnastics School in Southlake. 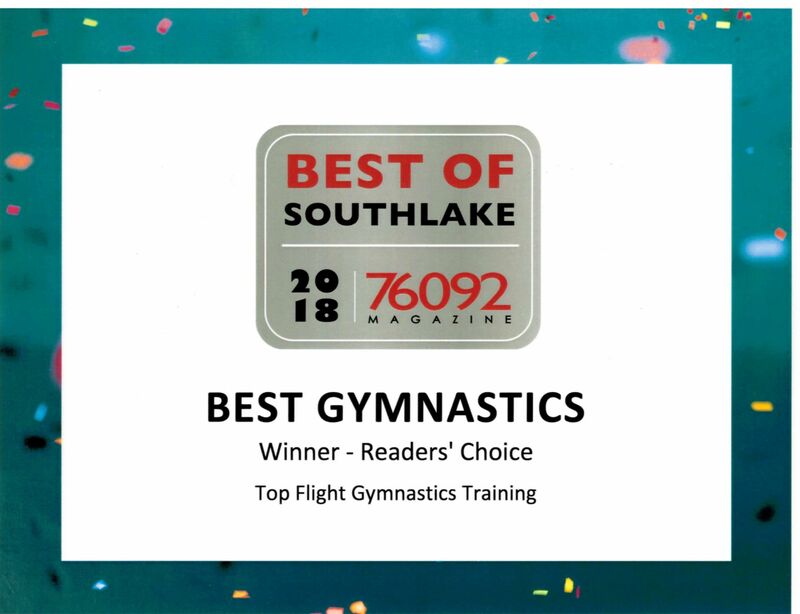 2016 Voted Best Place for Gymnastics in Northeast Tarrant County by Living Magazine and Best of the Best of Southlake by Southlake Courier - Journal !!! We will strive for excitement, quality, and innovation in every program that we offer and we will provide programs directed toward building and supporting the aspirations and abilities of our students.